When your kids are really little you drive by the fields watching kids run around enjoying themselves playing some sport. It doesn’t matter the sport…soccer, baseball, etc. it is a moment that you look forward to experiencing with your child. Let’s face it, I was never a stellar athlete. I did make the 12-year-old little league all-stars (we didn’t make it very far). I also was an All-District Tight End in high school (I think they just needed a representative from our school…our team was not that great). Needless to say, I often wondered if I would be up to task to bestow some amazing athletic prowess upon my children. 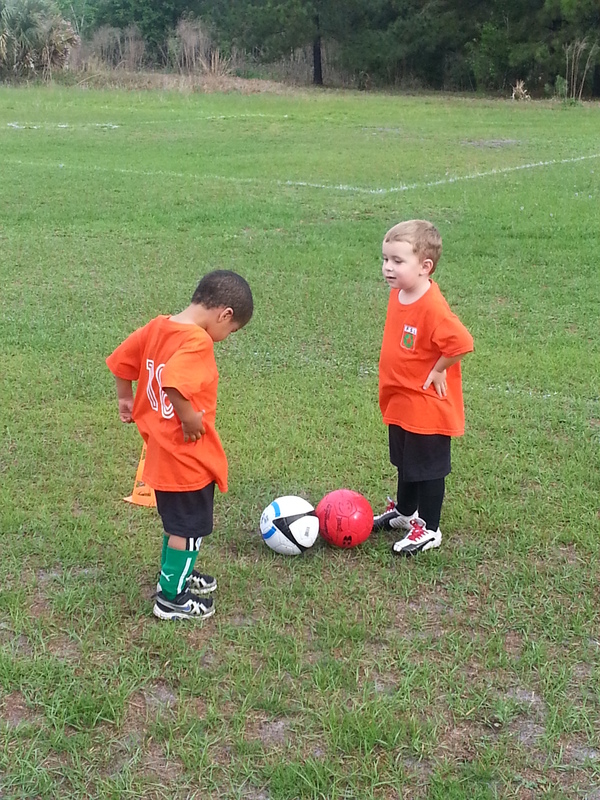 Enter the three-year-old soccer league. Before Nolin was two, he already displayed awesome hand eye coordination and could dribble a soccer ball with ease. Which is good, because I definitely didn’t ever make it to any soccer all-star league even out of sympathy. We knew he would love it and were excited to get him started. You are either driving by too quickly to fully take in what is actually happening at the practice, or your mind simply sees what it wants you to see. Toddler sports leagues are really just a physical and mental endurance exercise for parents and not quite as much exercise for the kids. An hour is way too long to have practice, but one day a week is perfectly fine. After the first practice the child and father who was appointed to be the coach (not sure if he had ever even played soccer before) never came back. So we got a new coach and another volunteer. For the most part they really did seem to know what they were doing. The only problem was the kids’ attention lasted for maybe 15-20 minutes if you were lucky and then it typically resulted in semi-orchestrated chaos. 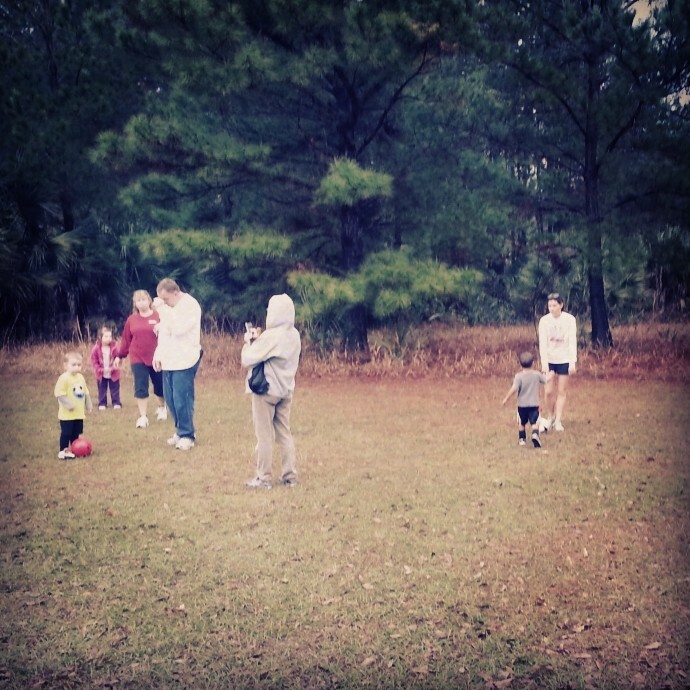 Over the weeks, Nolin had better days than others, and he did seem to enjoy going to soccer practice as it went on. 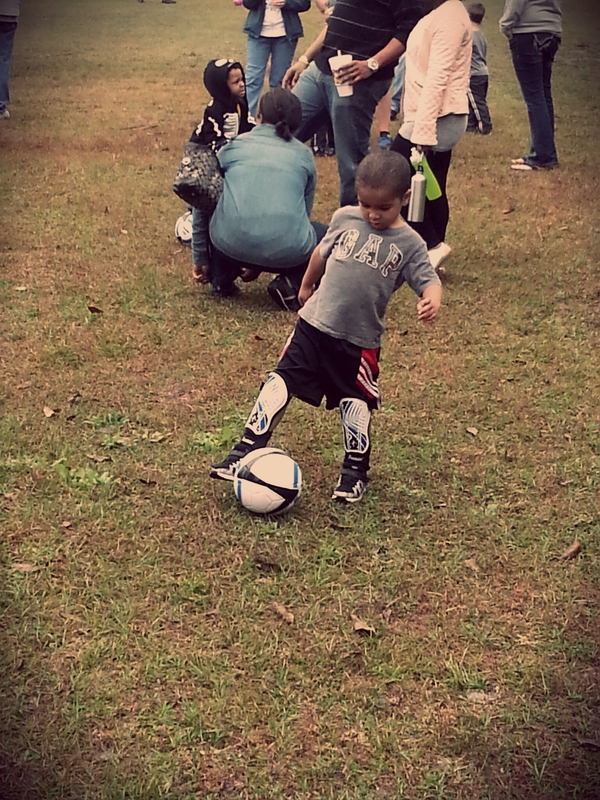 Kids seemed to come and go, maybe as parents realized that their child was not going to be the next Beckham. I’ll give it to them though, some parents brought their kids several weeks in a row even though they would never once kick the ball or one even spent most of the time in his little sister’s stroller. It was about 5-0, and I was starting to feel a little bad…obviously I was the greatest 3-year-old soccer coach of all time. Then Nolin’s teammate fell on the ground. Nolin went to help him up and told him he would be alright, then they started hugging, then they started wrestling, then they started chasing each other around with absolutely no regard for the soccer ball. Even at 3 years old, girls have an uncanny ability to sense male weakness and they quickly took control of the game. 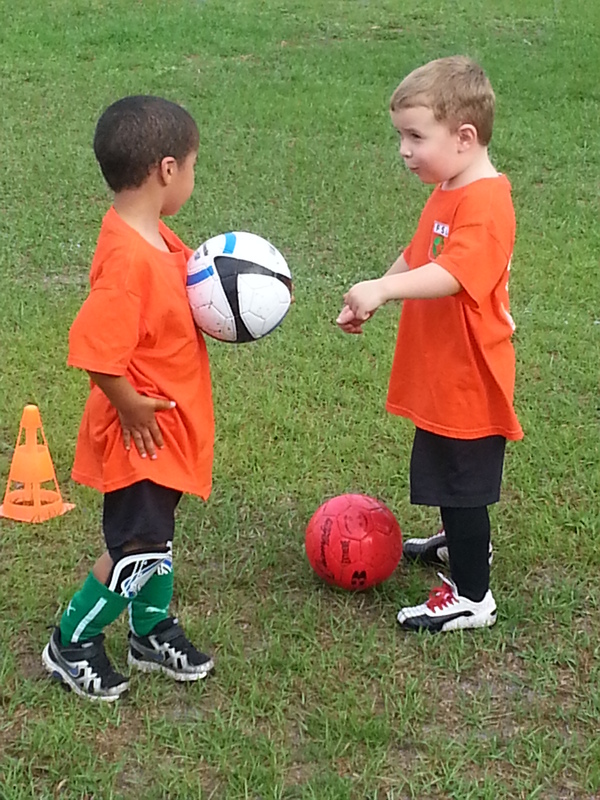 Dribbling…passing the ball to each other…scoring goals. It was like a movie where the underdog comes back to win. As I ran around trying to round-up my players, the girls just kept scoring goals. So much for the greatest coach of all time. The next week we had another boys vs. girls game which ended pretty much the same. The following week, Jenn & I were out-of-town, and Pap-Pap and Nolin didn’t go to practice. Last week, we thought about it, but I wasn’t sure if the season was still going at this point and it was raining. So Jenn & I made the collective decision to call it a season ourselves. I guess we’ll try again next year…for now, who’s ready for T-Ball (when he’s 6)? !